Enter Oroweat's America's Better Sandwich contest for the chance to win $25k! Stacked with just a few classic ingredients or over-stuffed with toppings galore, we all know that our favorite sandwiches are made with the good stuff, so why not make sure what’s holding that sandwich together is the best, too? Made with 100% whole grains, Oroweat® Breads are just the right slices for your all-star sammie, so you can enjoy a guilt-free sandwich filled with all of the things you love! This summer, Oroweat is once again hosting the America's Better Sandwich contest -- Just submit your favorite sandwice recipe at americasbettersandwich.com/ for the opportunity to win a grand prize of $25,000 – that’s a whole lot of dough! Additionally, the sandwich in each of the five categories with the highest overall score will receive a $5,000 Category Prize. Spread guacamole on 1 slice of bread. Place cheese on top of guacamole. Spread refried black beans and sour cream on the other slice of bread. Put the two slices of bread together, cut in half, and enjoy! 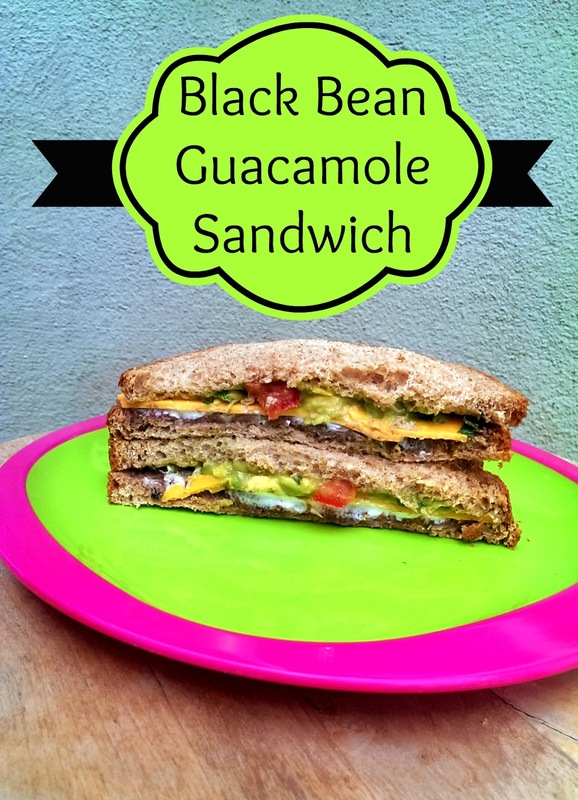 I hope my Black Bean Guacamole Sandwich inspires you to create your own one-of-a-kind sandwich and enter it into Oroweat's America's Better Sandwich contest! Good luck! Giveaway ends 11:59 PST on August 14, 2015. I will draw a winner after that date and post their name once the winner has been confirmed and verified. Continental US residents only. For more giveaway rules, click here. Good luck! Disclosure: I received coupons and a gift card to purchase ingredients and share my favorite sandwich with readers. Giveaway prize provided by Oroweat. The views and opinions expressed here are my own.